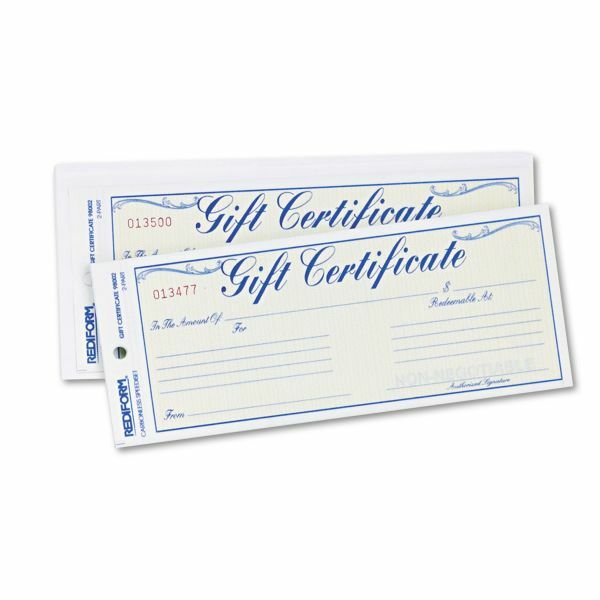 Rediform Gift Certificates w/Envelopes, 8-1/2w x 3-2/3h, Blue/Gold, 25/Pack - Carbonless gift certificates with envelopes include consecutive numbering, screened backgrounds, safety tint on original and signature lines to enhance security. Duplicate format provides a permanent copy for record-keeping. 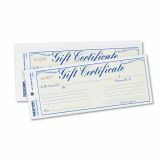 Unbound, two-part gift certificates are packaged with No. 10 white wove envelopes for presentation.